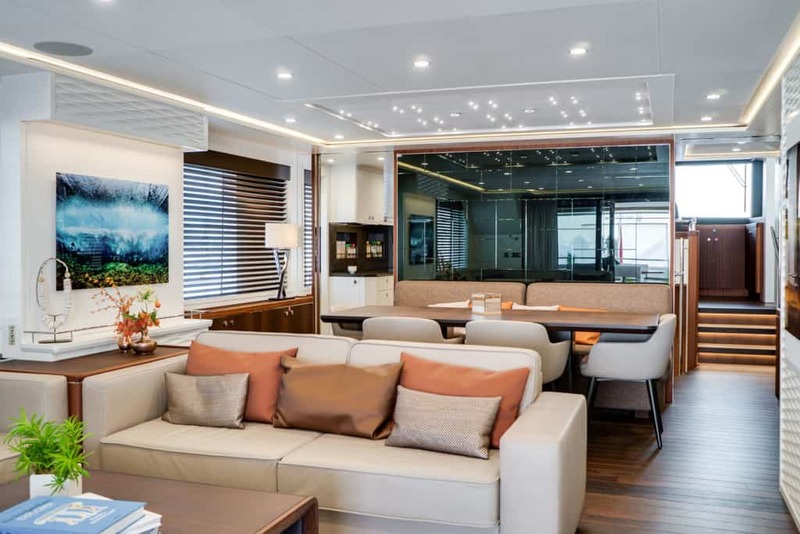 The Van Der Valk Shipyard sold a brand-new 25-metre Explorer demo yacht last year, with interior and exterior design by Guido de Groot Design. The owner asked to make a range of alterations that would give him extra space to suit his personal sailing lifestyle. 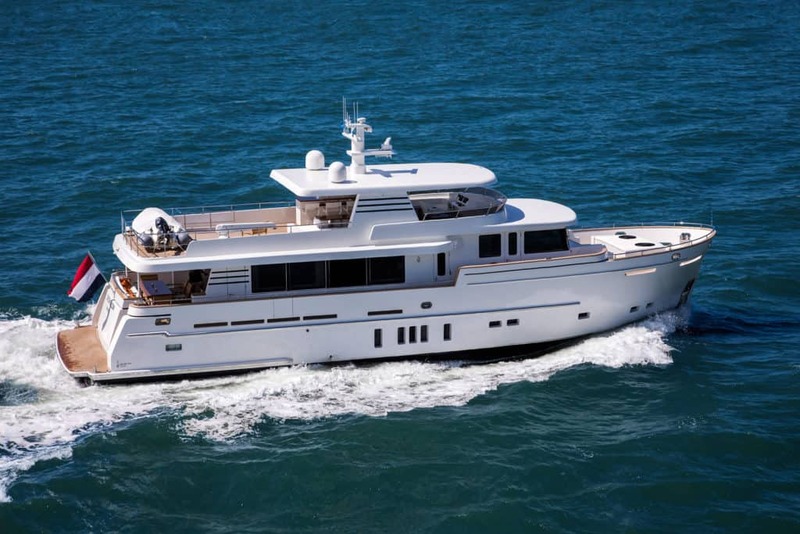 Guido de Groot Design was pleased to participate in the project, and the modified yacht has now been successfully completed. A major requirement was a larger lazarette to house his three race bicycles and two Gocycles. The extra length was also used to enlarge the aft deck and swim platform, and provide more freezer space. 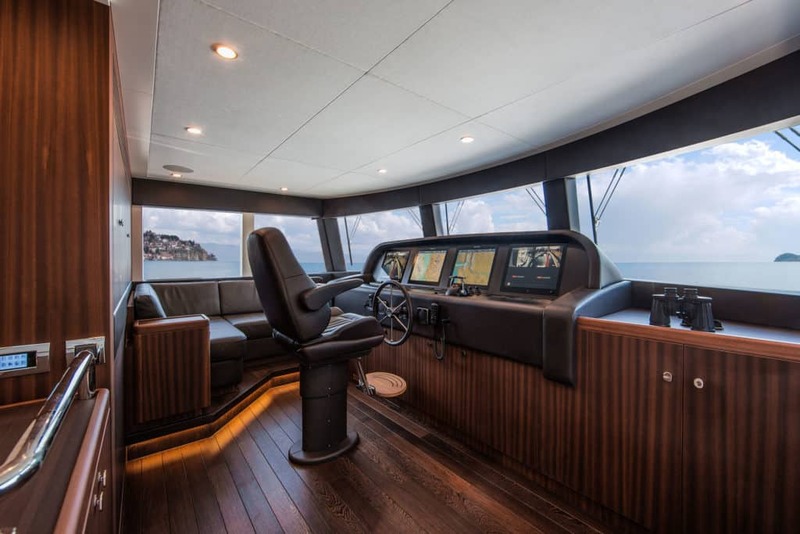 The flybridge was lengthened by 1.25 metres, leading to a slight change in the lines of the yacht. Together, these extensions boosted the yacht to a total length of 27 metres. On the exterior the hull received a new and elegant metallic paintjob with a custom grey colour. 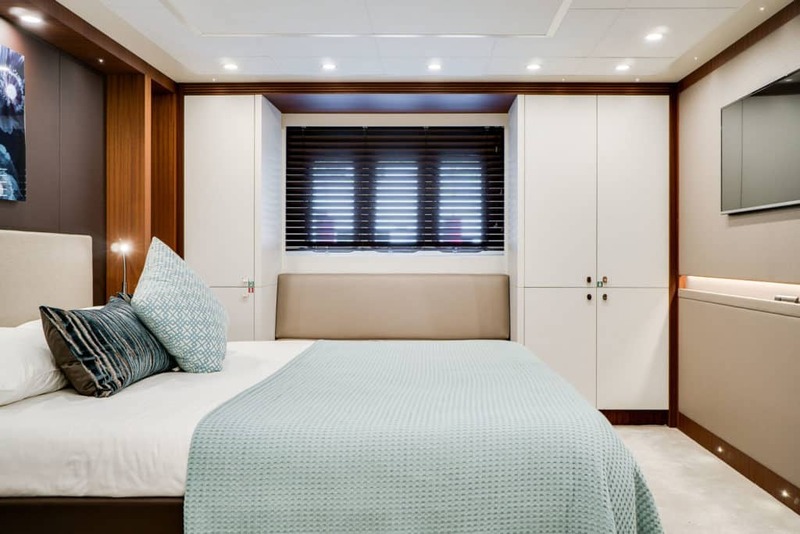 The interior was also changed following new designs by Guido de Groot, including the cabins, upholstery and the addition of large leather settees and tasteful mirrors fitted as décor pieces. The project was relatively complex and involved several new naval architectural elements. The smart engineering paid off, however, and the extension was implemented without needing to lengthen the propeller shafts. After taking delivery of the yacht, the satisfied owner took her to Italy, with Malta and Greece as next stops. Technically essential cookies. These cookies are necessary to allow the technical operation of our website. Functional cookies. These cookies enable certain functionalities provided by our website, such as the ability to save your preferences. Some of these are only valid for the duration of a single visit to the website and others for several visits. Analytical cookies. Guido de Groot Design uses Google Analytics and other analytical cookies in a privacy-friendly way to analyse how visitors use our websites. This lets Guido de Groot Design improve the user-friendliness of its website, for instance.